Resort 2019 Hilfiger Collection is a celebration of empowerment, revisiting our collegiate heritage with positive and inspiring embroideries and badges of love, power and unity. Ivy League styles meet ‘70s silhouettes including flared pant suits, mix-and-match pajama-style suits, and pleated wrap dresses enhanced with pops of color. Spliced vintage Hilfiger Collection graphics and patchwork Oxford shirting bring an unexpected twist to timeless styles such as the polo shirt and dress. Outerwear is elevated and functional, complemented by intricate multi-logo Fil Coupe weaving and premium bonded gabardine fabric. The collection blends Americana heritage with a bold and effortless twist, and celebrates the relentlessly optimistic spirit that is at the core of our brand. 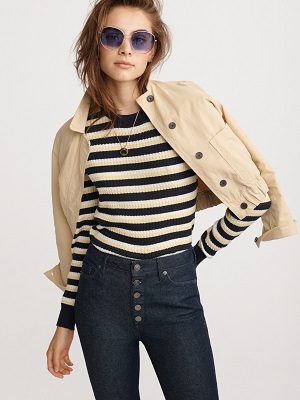 Spring 2019 HILFIGER COLLECTION is a contemporary reinterpretation of classic TOMMY HILFIGER iconography and time-honored American sportswear classics. Inspired by iconic nautical references, technical jackets and sailor smocks are reinvented in contemporary silhouettes and luxe technical fabrics. 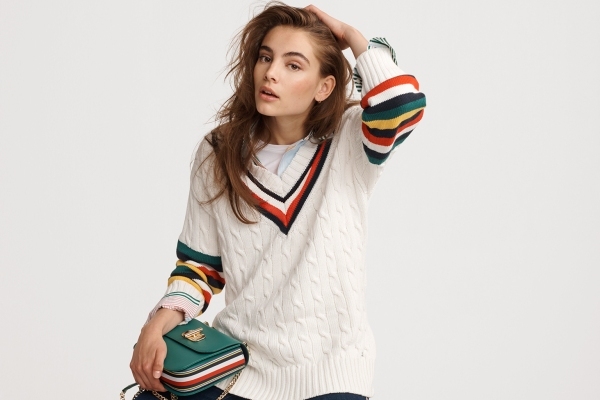 The look is playful yet sophisticated, with an embroidered modern badgecelebrating the brand’s flag logo, Mr. Tommy Hilfiger’s autograph and the Tommy Crest, with a focus on a classic TOMMY HILFIGER shade of deep red. Vintage brand graphics combine with classic stripes and color-blocking in a black, blue, red, white and yellow color palette for a bold yet effortless look for the modern Tommy Man. Spring 2019 TommyXLewis, the second collaborationbetween iconic American designer Tommy Hilfiger and global brand ambassador for TOMMY HILFIGER men’s, Lewis Hamilton, adds a fresh twist to classic sportswear designs with bright pink and purple pop colors, oversized “CREATE X UNITY” graphics, anddip-dyed grading inspired by edgy Los Angeles street style. The “LH” logo has evolved with a minimalistic design that continues to celebrate Tommy Hilfiger’s iconic flag and the British racing driver’s initials. TommyXLewis features sporty influences, heritage pieces, oversized silhouettes and sustainable elements such as organic cotton, blending Lewis Hamilton’s fashion-forward vibe with Tommy Hilfiger’s classic American cool DNA in a way that can be styled for everyone. The collection features apparel, footwear, accessories, underwear, swimwear and socks. The Spring 2019 TOMMY HILFIGER Menswear collection re-energizes classic Americana styles with a bold and colorful twist. Iconic designs including the T-shirt and crewneck sweater are reimagined with positive “Tommy Cares” and “Change the Future” slogans, while elevated sportswear pieces and contemporary chinos take the lead. Sartorial check and contemporary tailoring are reimagined with stripes and Madras, while heritage plaids are given a new edge with a bright turquoise and pink color palette, unexpected proportions and patchwork details. Sustainable elements including recycled yarns and organic cottons feature throughout the collection as we embrace the nostalgia of the past while looking forward to the future. 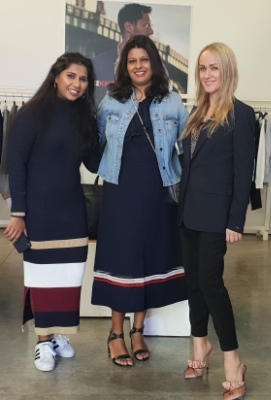 The TOMMY HILFIGER Spring 2019 Womenswear collection re-energizes classic Americana styles with a bold and colorful twist. Fifties collegiate icons, including the sweater inspired by Ivy League East Coast heritage and the polo shirt, are reimagined in unexpected silhouettes and eye-catching color-blocking. Elevated sportswear pieces and contemporary chinos take the lead, while sartorial checks and contemporary tailoring feature pop colors and stripes. Sustainable elements including recycled yarns and organic cottons feature throughout the collection, as we embrace the nostalgia of the past while looking forward to the future.